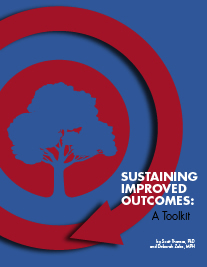 Sustaining Improved Outcomes: A Toolkit is a free toolkit for both organizations and funders that provides information and tools for how to sustain improved outcomes. Download the complete toolkit or download the tools individually by clicking on Tools for Organizations or Tools for Funders. Click here to put a link to the Sustaining Improved Outcomes website on your site.